There were some massive games and results on Thursday in the Euroleague and the bar has been set very high for the three games that are taking place on Friday night. If you were looking for drama, it was delivered in spades and there are still a number of issues yet to be decided in the Top 16. This means that there will be plenty to play for on Friday night, and next week, so there are lots of betting opportunities left at this stage in the Euroleague campaign. Maccabi knew that booking a place in the playoff on Thursday was dependent on two results and first of all, they had to take care of their own business against their Turkish opponents. It was a tough game, the home side eventually battling through and then players and fans scuttled off to catch up with what was happening in Greece with Panathianikos and ALBA Berlin. This game was tied in the fourth quarter but a 10-0 run, with Devin Smith in fine form, pushed the reigning champions into a strong position and they never looked back. After this run, the Turkish side was never within 6 points of the game. Smith managed to grab 22 points in total while also adding 8 rebounds and 5 assists. He was assisted by Brian Randle who grabbed 19 points and Alex Tyus who offered up 17 points. Nate Linhart provided 10 points and Jeremy Pargo provided 9 points and 8 assists. The best players for Galatasaray were Kerem Gonlum, who provided 18 points and Justin Carter, who provided 12 points. This game lived up to the hype and expectations that surrounds the game when these two clash. There were 11 separate ties over the course of 38 minutes in this one before the home side managed to grind out a win and take the battle to the last game in the group. The two teams have a 10-3 record in the Top 16 but Madrid are at the top of the table thanks to winning the head to win due to their more convincing win earlier in the campaign. That took some of the gloss and shine off of the win for the home team but whenever a team from Madrid is vanquished, the whole of Catalonia can smile. If Madrid win at home next week against Zalgiris, they will top the group but any slip-up would allow Barcelona the chance to top the group with a win away to Galatasaray. Mario Hezonja offered up 15 points for the home team while Brad Oleson provided 12 points, as did Maciej Lampe while Tibor Pleiss provided 9 for the Catalan club. Rudy Fernandez offered up 20 points and Sergio Rodriguez provided 17 points and Gustavo Ayon scored 10. 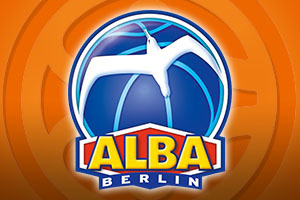 After Maccai grabbed a home win, they were looking for Panathinaikos to do them a favour and defeat ALBA Berlin. If the German side lost, Maccabi clinched their playoff spot but this dramatic away win means that the battle for playoff spots go to the last game. Both Panathinaikos and ALBA Berlin hold a 7-6 record and while the Greeks have the advantage due to winning by 6 in Berlin, both teams control their own destiny, knowing that if they win next week, they are through. The final quarter started with Panathinaikos leading 55-46, the largest lead at any point in the game but Reggie Redding reeled off 8 points and the visitors were right back in it. Alex Renfroe offered 16 points and 9 assists while Redding offered up 14 points in total. Jamel McLean picked up adouble-double with 11 points and 11 rebounds. For the home team, Dimitris Diamantidis was on top for with 18 points while AJ Slaughter and Antonis Fotsis both grabbed 12 points. Esteban Batista was also in fine form with 11 points. This was only the third win for Unicaja in the Top 16 but it ensured that both teams hold a 3-10 record and neither team has anything to play for in the final group game. Mindaugas Kuzminskas grabbed 18 points, VVladimir Golubovic offered 17 points while Jayson granger and Jon Stefansson both offered 12 points. Will Thomas provided 10 points for the away team who ended up with a performance index ranking of 130, which is the clubs best ever score on the road and their best ever score in the Top 16. Taylor Rochestie offered up 14 points for the home team, Gal Mekel provided 13 points and Tarence Kinsey offered up 12 points. The Spanish team retained their hopes of making it through to the playoffs with this win that sees them move on to a 6-7 record in Group F. At the moment, they are in fourth place but with Anadolu playing on Friday night, they could be down into fifth spot by the start of the weekend. Fenerbahce slip to a 10-3 record but they are already safely into the next stage of the competition. Mike James provided 19 points for the winners while Laboral had three players on 15 points, Fabien Causeur, Darus Adams and Fernando San Emeterio. Nemanja Bjelica was in the thick of it for Fenerbahce with 17 points and 10 rebounds while Jan Vesely provide 13 points and Bogdan Bogdanovic provided 11 points for the away team.